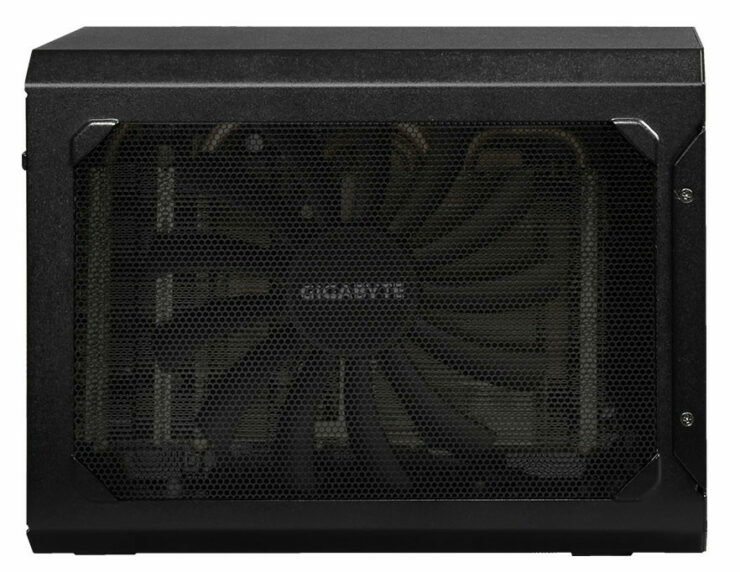 GIGABYTE has announced the RX 580 Gaming Box, an external graphics enclosure much in the vein of the MSI G.U.S. and Alienware’s proprietary system or the Akitio Node for those who want to pop in their own GPU. This comes complete with a factory-fitted RX 580 graphics card. 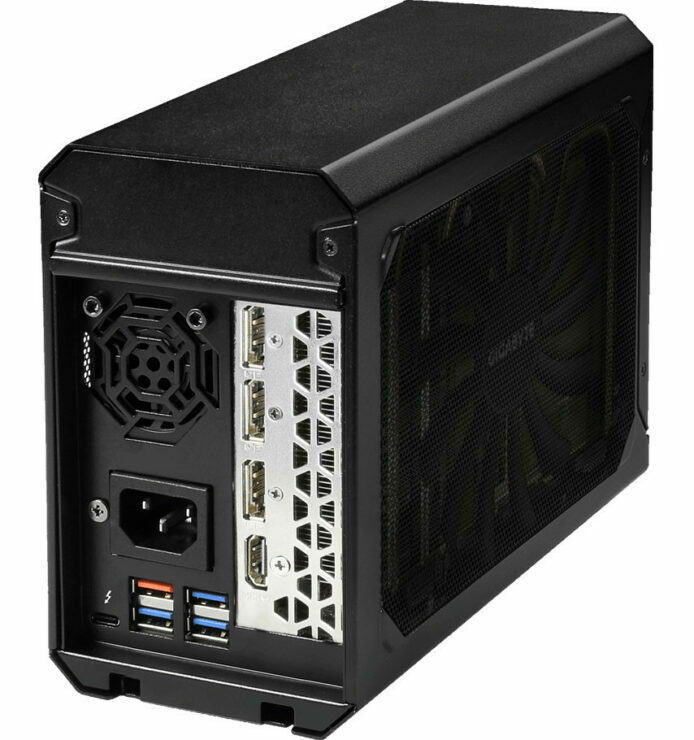 The company’s Gaming Box line of external graphics enclosures made their debut with Aorus-branded boxes based on GeForce GTX 1070 graphics cards. 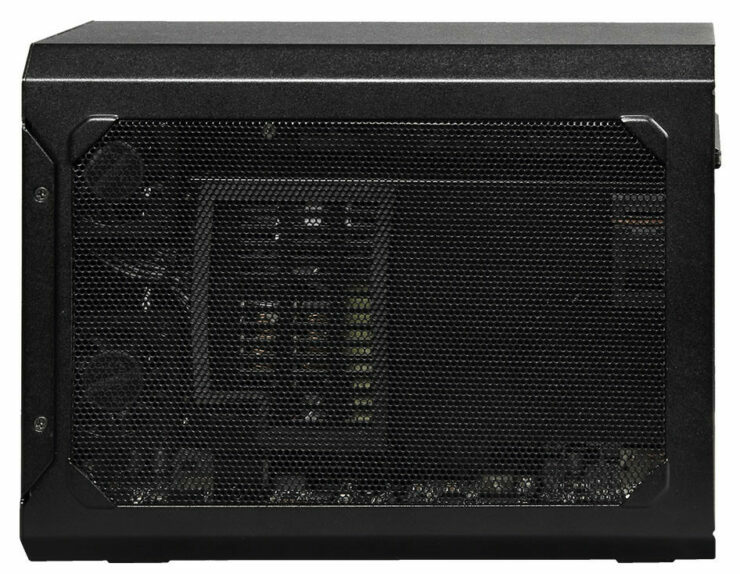 The company later launched an Aorus-branded GTX 1080 Gaming Box. 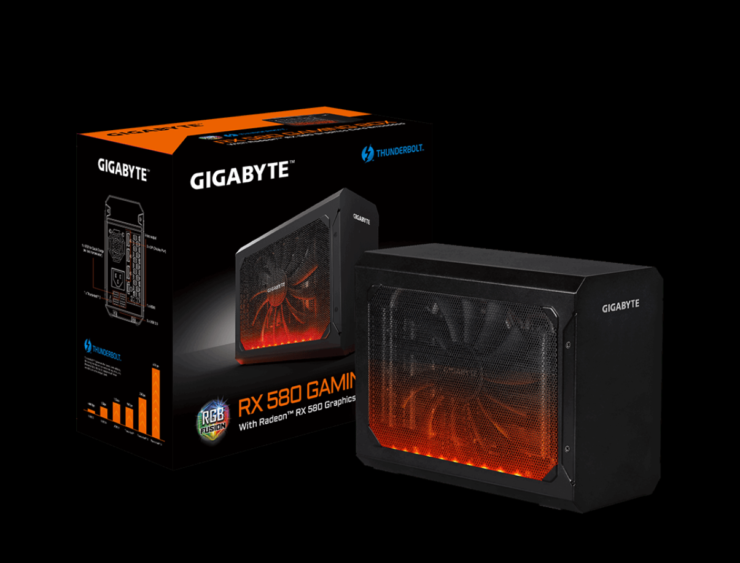 The new RX 580 Gaming Box packs a Radeon RX 580 8 GB graphics card, with its core clock at reference speeds of 1257 MHz core and 1340 MHz boost, although a software-toggled “OC Mode” pumps up to a slightly higher boost clock of 1355 MHz. The memory stays at a stock 8.00 GHz. Display outputs from the graphics card include three DisplayPort 1.4 and one HDMI 2.0. 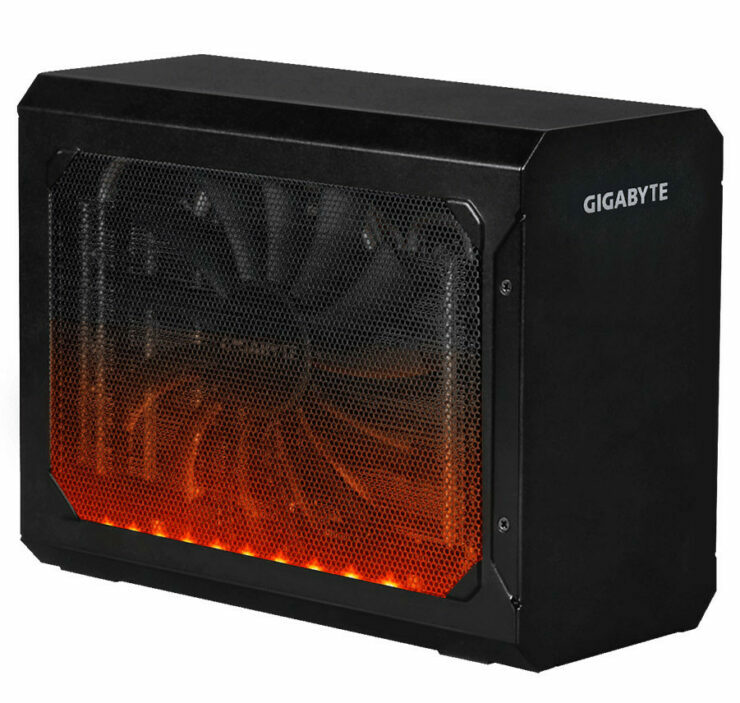 The enclosure features mesh side windows, and an RGB LED strip controlled with GIGABYTE RGB Fusion software. Unfortunately we have no word on specifics for cooling although if they pair it with the single 130mm fan and heatpipes used in the GTX 1080 model it should be quite sufficient.